After waiting for a year to save to upgrade my camera. I finally bought it one day and now I am enjoying the features it has on it. I couldn't afford to buy the highest megapixel but getting a 10MP isn't bad at all. The important is, this gadget can capture farther places. If you don't know, one of the features that I love about is the interchangeable lense. Thank you to my BFF who helped me and shared me her knowledge with cameras. I don't mind upgrading to a greater one. As long as the price is worth of the camera that I wanted. 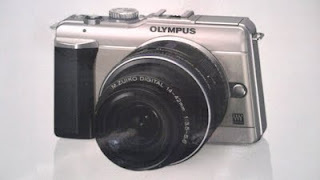 Olympus is the best for me. Very user-friendly and I am enjoy the features like I said. I will be sharing some of the shoots that I will be taking with the help of my new friend Olympus. I should have given her a name. I might think one and that would be the next update. For now I am checking for this asset labels that I can take advantage with. congratulations Nova, have fun with your camera.